Nice art even if the artist's representation of both Marchal and Canale are a bit off. 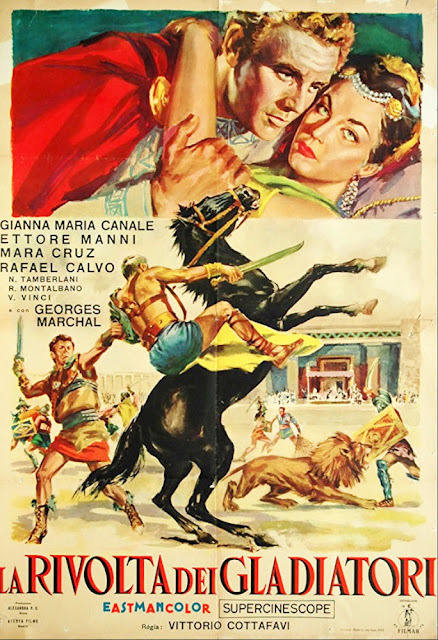 The original title translates as THE REVOLT OF THE GLADIATORS. I don't how US distributors came up with the English title.